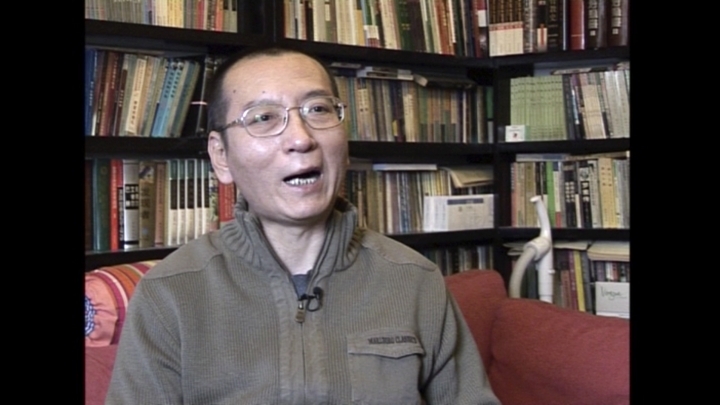 BEIJING — Two foreign specialists who visited Liu Xiaobo said Sunday that the cancer-stricken Nobel Peace Prize laureate can safely travel abroad for treatment, apparently contradicting statements by Chinese experts who say a medical evacuation would be unsafe for China's best-known political prisoner. The American and German doctors, who saw Liu on Saturday, issued a joint statement saying that their home institutions — the University of Heidelberg and the MD Anderson Cancer Center in Texas — have agreed to accept Liu, but that any evacuation would have to take place "as quickly as possible." Liu was diagnosed in May with late-stage liver cancer while serving an 11-year sentence for inciting subversion by advocating sweeping political reforms that would end China's one-party rule. He was awarded the Nobel Peace Prize in 2010, the year after he was convicted and jailed by a Chinese court. 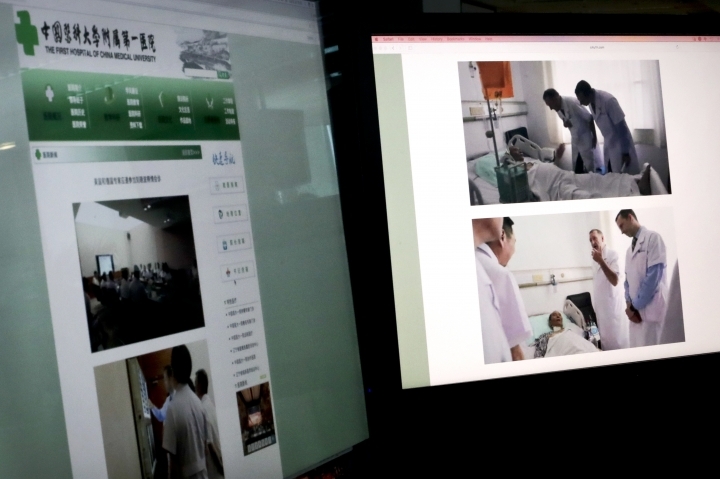 Meanwhile, the Chinese government has maintained that Liu is receiving the best treatment possible at the First Hospital of China Medical University in the northern city of Shenyang. Chinese state media have labeled Liu a convicted criminal, and the government has warned other countries to stay out of China's internal affairs. 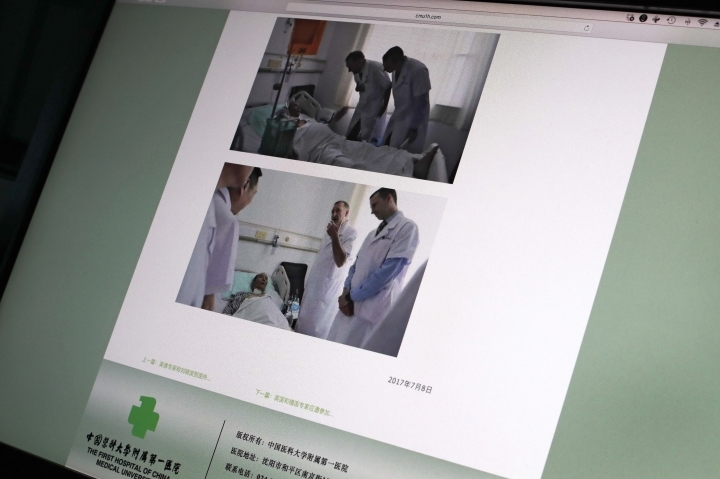 Buchler and Herman said in their statement Sunday that they "acknowledged" the quality of care Liu has received in Shenyang. But they said that Liu expressed a desire to leave China, and that they judged that he "can be safely transported with appropriate medical evacuation care and support." 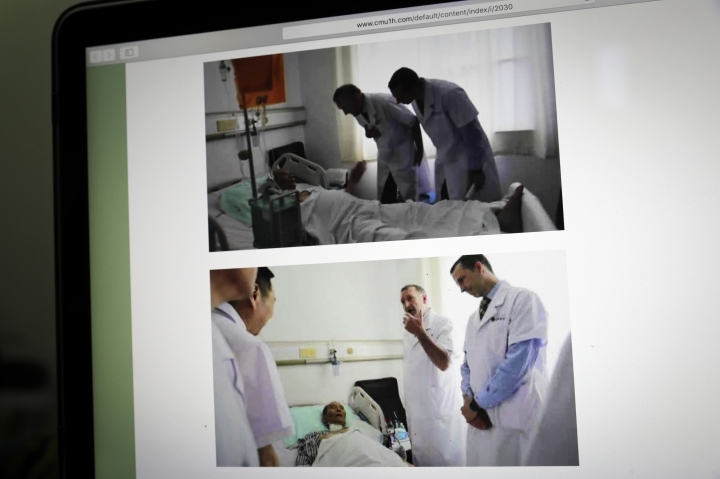 Hours after the foreign doctors announced their opinion, Jared Genser, a Washington-based lawyer who represents Liu internationally, said that any decision by Chinese authorities to still keep Liu would amount to "intentionally hastening his death" and "refusing to honor the wishes of a dying man to receive the treatment he desires." "The moment that Liu Xiaobo and (wife) Liu Xia were to be allowed by the Chinese government to travel, we have a medevac ready to take them abroad," Genser said in an email. "As long as he can still talk, the global media will report and transmit his message to the world," Hu said. "Every sound he utters will be recorded as a force for changing China." The hospital itself released a brief online statement late Saturday that quoted an unnamed Chinese expert as saying it would be unsafe for Liu to travel abroad. The hospital has previously said that Liu's liver function is deteriorating, and that blood clots are forming in his left leg and could potentially travel to the brain or the lungs, leading to death. Phone calls to the hospital's administration department and publicity office rang unanswered Sunday. "We continue to call on the Chinese authorities to grant Mr. Liu full parole and to release his wife, Liu Xia, from house arrest, and to allow them to travel to seek specialized care that would ease his suffering in his final days," said Mary Beth Polley, the spokeswoman for the U.S. Embassy in Beijing. "Letting him fly away from his hell would be a massive psychological boost, stronger than any medicine you can give him," Hu said. "It will improve his final days, so he will die with dignity — and in the free world."